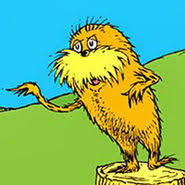 Please join WLT’s Cathy Phinney with your favorite little person for this fun and nature-friendly reading of Dr. Seuss’s classic, The Lorax, at the Wareham Free Library. Tuesday, February 20th: 2:30-3:30 pm. Our AmeriCorps volunteers Amy and Lizz will also be on hand to help with the craft.